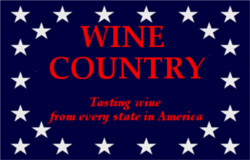 During the effort of trying to taste wine produced in all fifty states, some states bear another visit - and another. 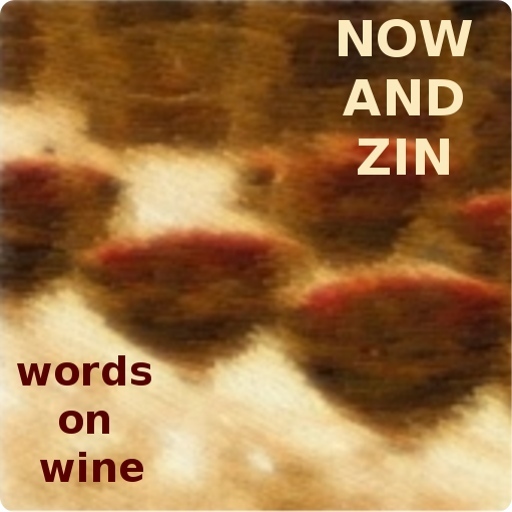 DuCard Vineyards is our third sampling of Virginia wine in Now And Zin's Wine Country series. The Old Dominion state was one of the first in the series, and one of the more recent. DuCard owner Scott Elliff says he started out innocently enough, growing grapes for sale to a neighborhood vintner. On the winery's website, Elliff remembers, "We initially sold our grapes to a winery up the road, and wines that included our grapes won a number of awards, including the Virginia Governor’s Cup as the best wine in the state and the Best Wine in the East (out of 1,400 entries) in another competition." Elliff avoided the proverbial ton of bricks and put two and two together quickly. "We decided to begin bottling a small amount of wine under our own label, exclusively for friends and neighbors and a small but growing email list of “fans and followers.” The value of his decision was realized when his wines sold out in his first three vintages. Not only is DuCard a source of great wine, they are also a leader in Virginia's green business community. DuCard was Virginia's first solar powered winery, and was awarded the Virginia Green Travel Star designation for its environmentally sound and socially conscious practices. The winery composts grape waste for use in fields and gardens, uses reclaimed hardwoods from barns and other Appalachian sources for flooring and tasting room bar, employs organic alternatives to chemical sprays whenever possible and recycles wine bottle corks for use in their flooring. The label on DuCard's 2013 Signature Viognier reveals that grapes from the estate are whole-cluster pressed, then barrel-fermented and aged in neutral oak. Alcohol tips the meter at 13.7% abv and the retail sticker of $26 per bottle may price the wine out of some "everyday wine" budgets, but there's always the weekend. The wine's very pale, golden color is not too inviting - but don't stop after a glance. The nose send showers of vanilla peaches out in a cloud of soft oak and floral scents. On the palate, rich peach and pear mix with a slight taste of orange peel. The acidity is striking, and a citrus note clings to the lengthy and delicious finish. If all it had going for it were the acidity and the citrus angle, the DuCard Signature Viognier would be worth purchasing. With all its other attributes, it should be in every wine rack in Virginia - and beyond. Pair the DuCard Viognier with all the seafood you love - scallops, crab cakes and oysters come to mind - or a nice Gouda cheese plate with apple slices. And, if you can't wait for lunch, have it with a late breakfast of scrambled eggs and smoked bacon.